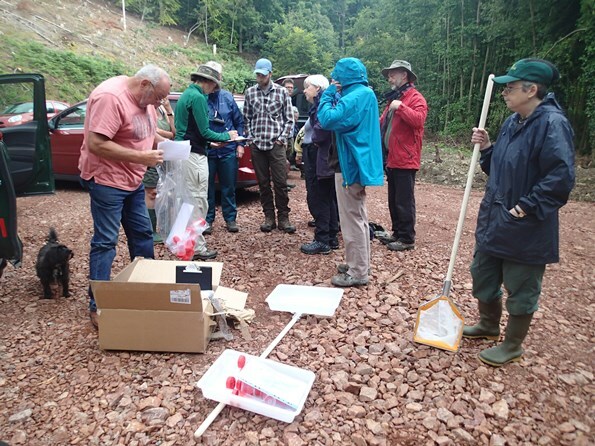 Our task was to survey the creatures living in Greathough Brook and to mark up post areas for future surveys. Greathough Brook is a proposed beaver enclosure. Unfortunately, the creatures found were taken to a laboratory the next day but the laboratory had been contaminated so - we are going to have to do the survey all over again!!! No worries because, the next time, we will all know exactly what we are doing! 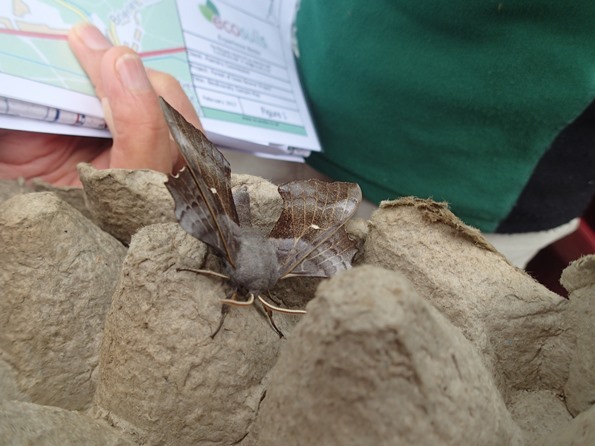 The Gloucester Moth Recorder had set some moth traps the previous evening and some of the finds are below. The team are receiving instructions. We were equipped with pond nets, water trays and pots for each section. Another essential item was welly boots as we were to delve down in the stream, kick the sand, mud and stones around for 3 minutes before collecting whatever floated down in the nets. This is the area we surveyed. 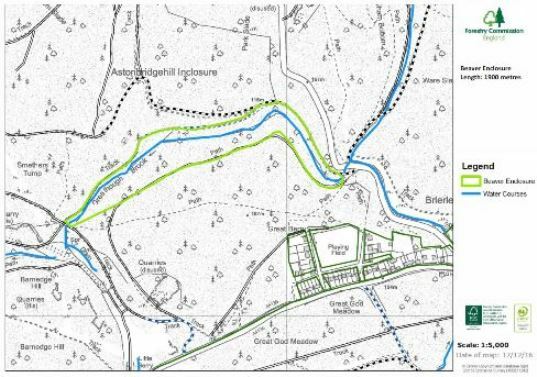 The proposed beaver enclosure will be in the green ringed area and the stream was surveyed for about a mile to include that area and further upstream. Creatures were collected at approximately 100 yards apart. The largest of the 'emeralds', and one which is common throughout most of Britain. 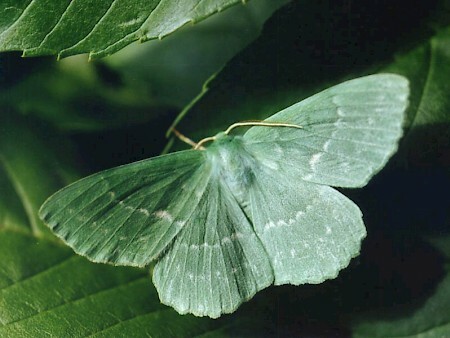 It inhabits woods, heaths and moors, and flies at night in June and July, when it is easily attracted by light. The caterpillar is brown at first, but after overwintering becomes green with brownish 'warts', and feeds mainly on birch (Betula). 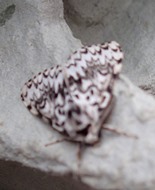 Although very common and widespread in England and Wales, this species is almost unknown in Scotland, except the very south, where it occurs scarcely. It is local in Ireland. 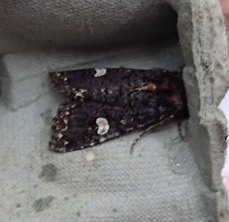 Frequenting a range of suburban habitats, including gardens, waste ground and roadside verges, the adults are on the wing in July and August, and frequently visit the garden moth-trap.